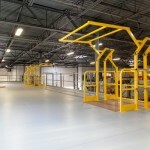 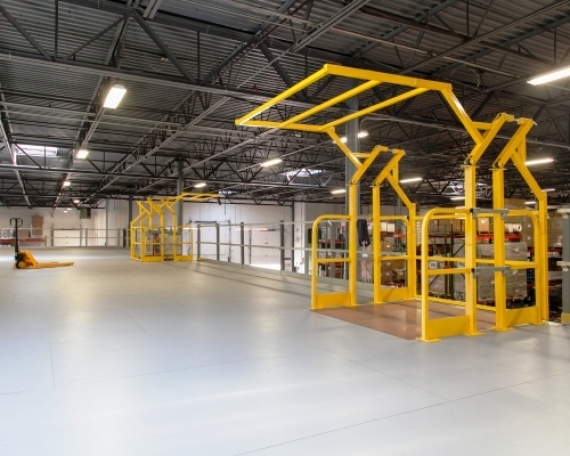 Gotham West Builders, a New Jersey general contractor, contacted The Mezzanine Company for help in finding the right storage solution for a client of theirs Mastercool. 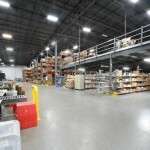 Mastercool is a New Jersey based family owned company that has been supplying professional air conditioning, service tools and equipment for over 25 years. Working closely with both the contractor and the customer we reviewed the information on the project and devised a plan to get Mastercool the most out of the space they had available. This resulted in a nearly 4,200 square foot mezzanine. 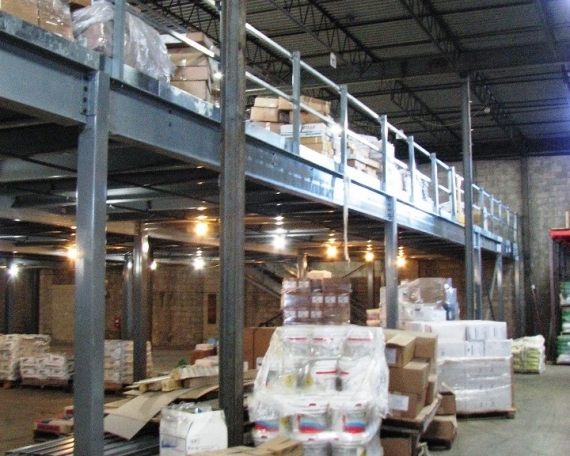 To make sure the mezzanine did not interrupt their current setup, it was designed with a deck clearance of 10.5 feet to allow them to keep the shelves and other equipment underneath. 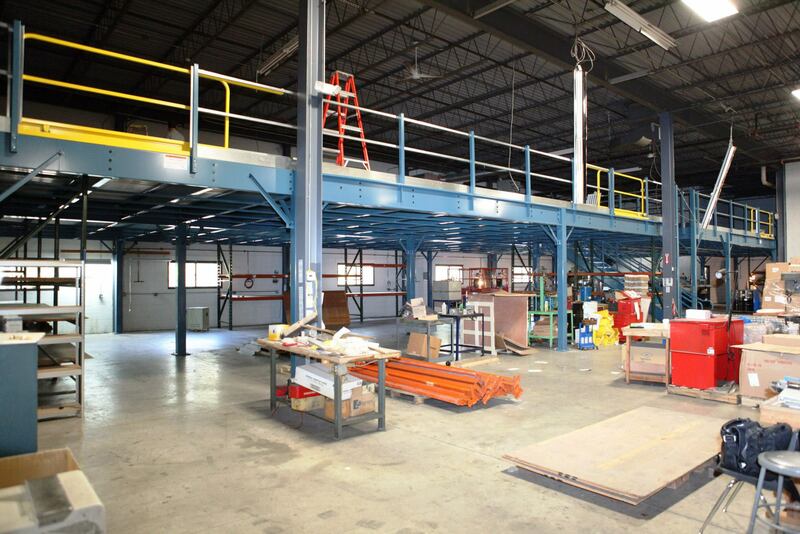 To address the building columns and obstructions, we used cantilever arms as part of this design and added cut outs around existing building columns to allow us to go right up to the existing walls maximizing the space available. 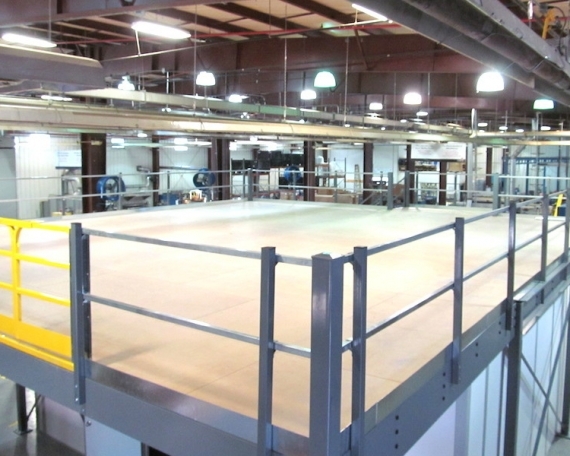 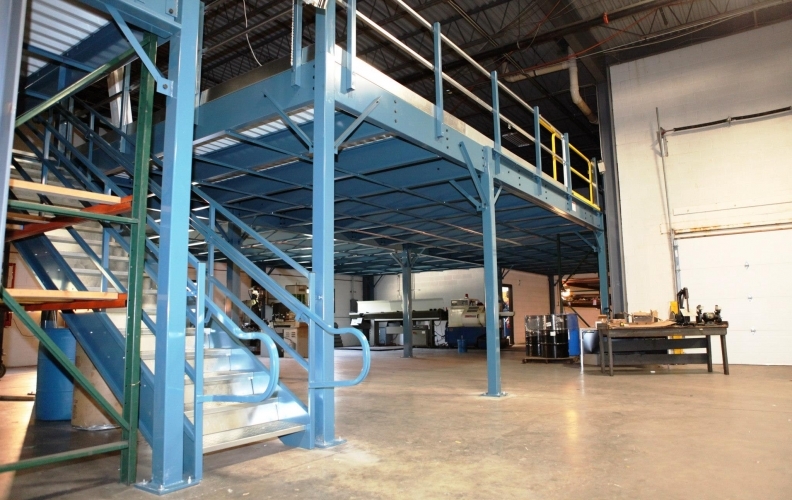 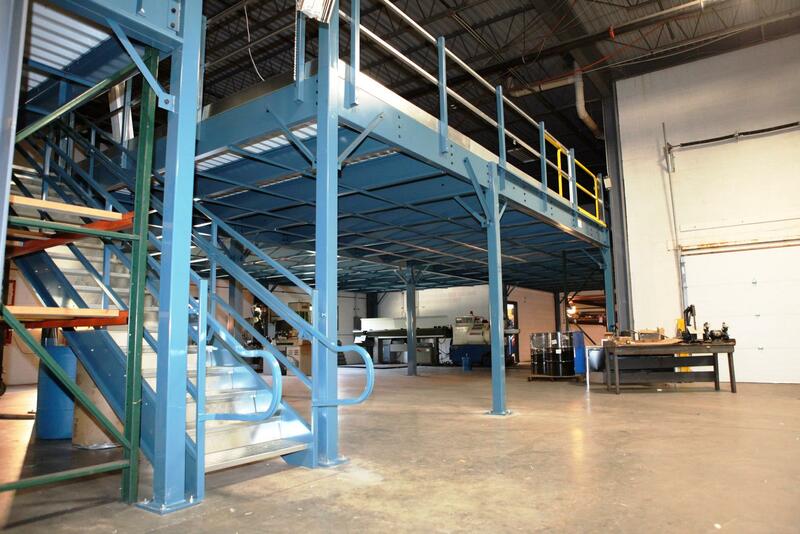 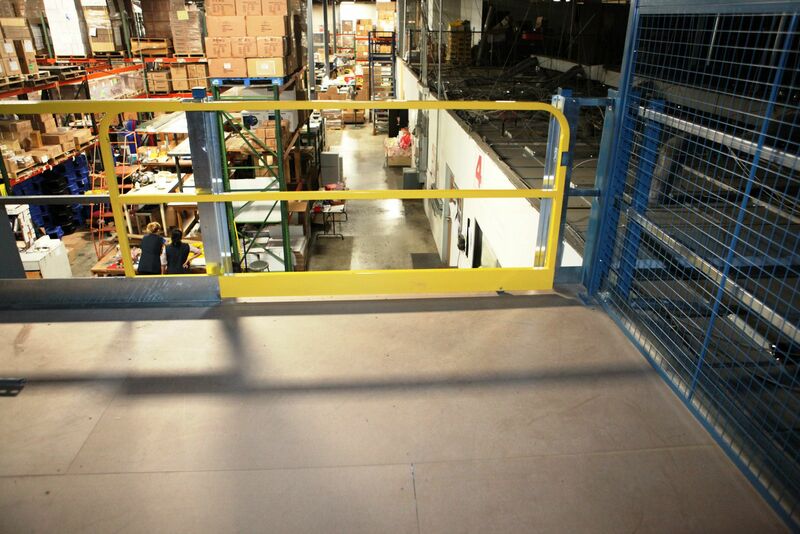 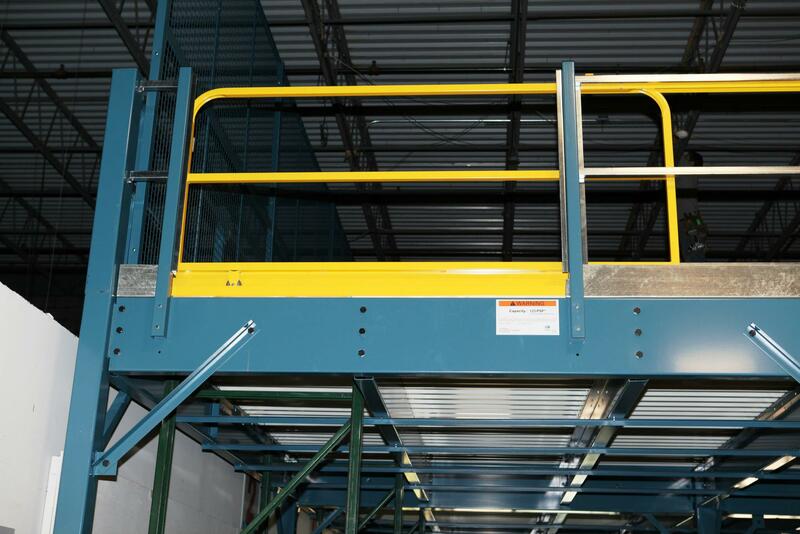 For access to the mezzanine we supplied an OSHA staircase for foot traffic and incorporated three 6’wide sliding mezzanine gates. 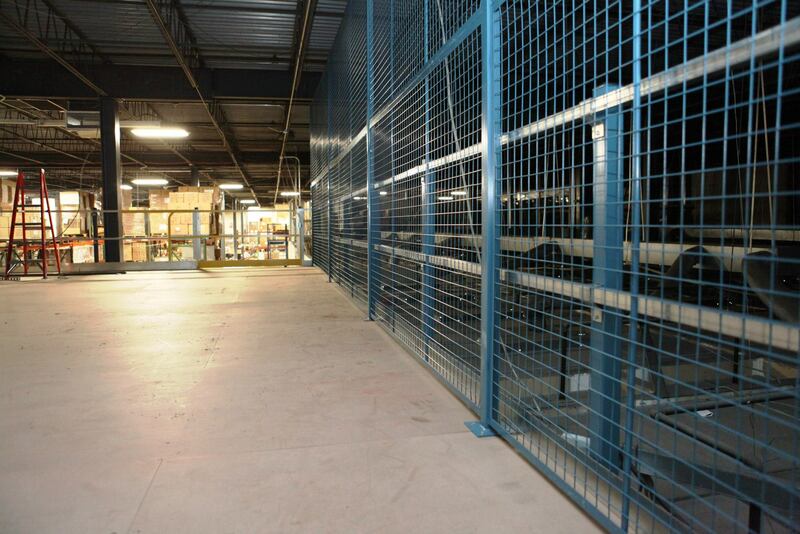 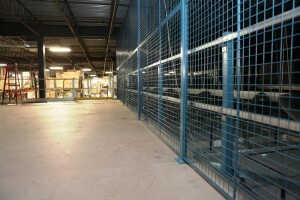 In addition to the standard handrail and kick plate that we put up on all open sides, we coordinated the shipping and installation of a 10’ tall wire partition to eliminate falling hazards on the one side of the mezzanine where shelving was to be put up in the future. 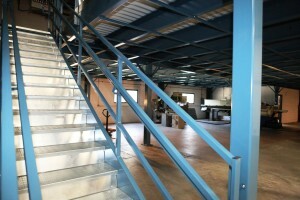 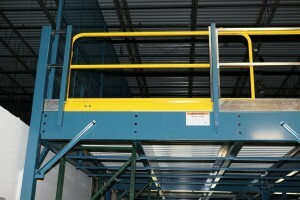 Lastly, we were able to match the company color for the painting of the mezzanine so it fit right in once installed. 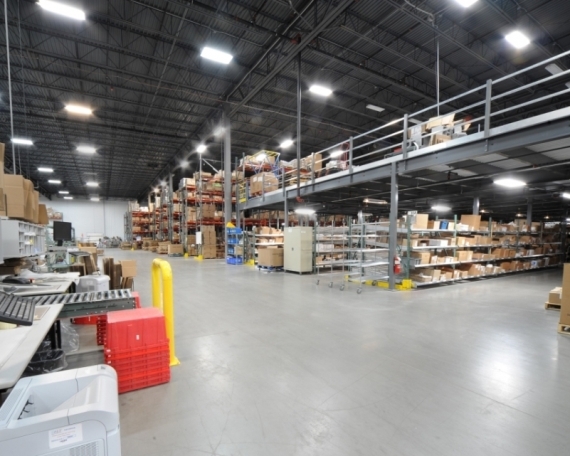 All of this was done in a timely fashion by staying in constant contact with the customer, shipping company, installer and the contractor to fit the timelines for the electrician, plumber, and HVAC technicians, allowing for the successful on time completion of the project.